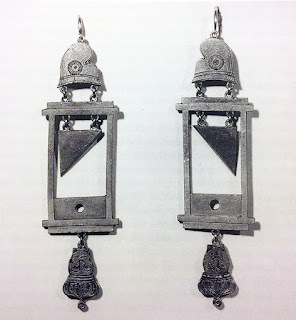 Our thanks to the ever brilliant Nag on the Lake for showing us this rather macabre pair of earrings whose cachet would have been quite pervasive in fashion and culture during the French Revolution. 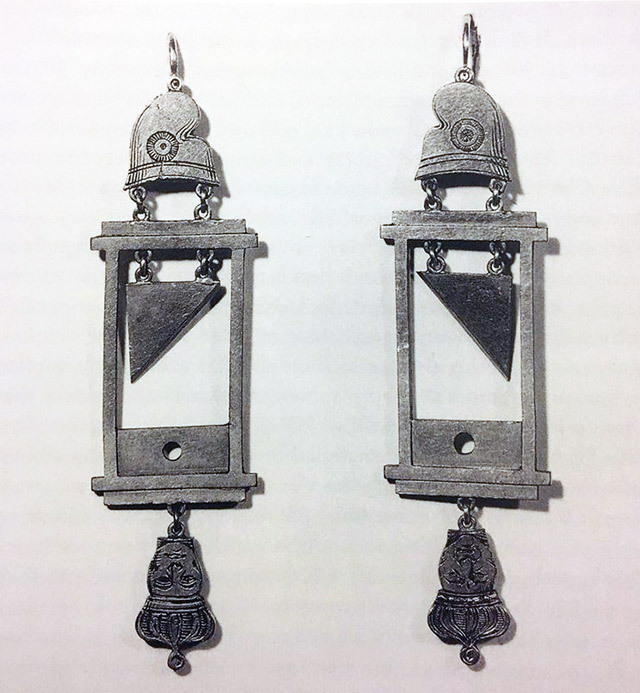 A Phrygian or liberty cap, the head gear of manumitted enslaved individuals of ancient Greece and Rome, is perched a top a guillotine, a symbol of the “Reign of Terror” that took place between June 1793 and July 1794, with the decapitated but still crowned heads of Marie Antoinette and Louis XVI dangling below—executed “democratically” along with over sixteen thousand others. 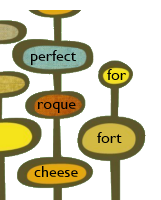 Protocol for capital crimes in the Ancien Régime dictated that method of execution was determined by the social status of the guilty, with beheadings reserved for nobility. On 9 October 1789, member of the Assemblée Nationale Constituante, the revolutionary government, Dr Joseph-Ignace Guillotin commissioned a form of execution that was both brutally efficient and egalitarian—upholding the invention of one surgeon named Antoine Louis. Louis in turn engaged a sub-contractor, a Prussian piano maker named Tobias Schmidt, to build the device. Afterwards, Schmidt and Louis tried to patent their invention that they referred to as a Petite Louison but their application was denied because to grant a monopoly on something lethal would be forfeiting all humanity. I wonder what sort of keepsakes will be popular the next time they come with pitchforks.